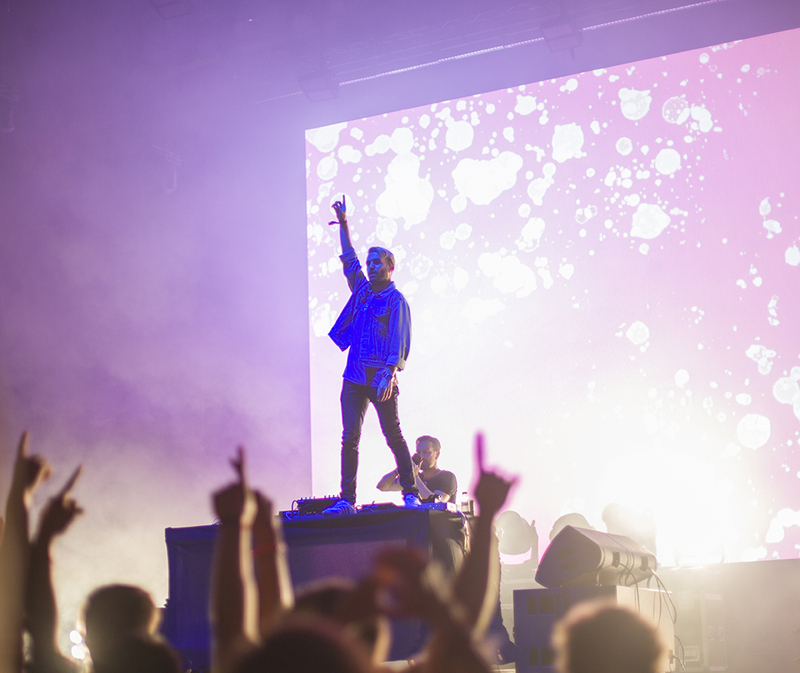 Sónar is one of the most renowned festivals in Europe and this year it celebrates it’s twenty fifth birthday. Through the day you can head to the venue near Placa d’Espanya. For the night festival you get the shuttle buses to Sónar by night from Placa d’Espanya to the huge exhibition halls not far from the city centre. We were in Barcelona to photograph the night. Acts from Gorillaz, LCD SoundSystem, A-Tech, Laurent Garnier, plus many, many more. Over two nights the music belted out from three huge stages. Complimented by great VIP areas, delicious food, well waitered bars and an exceptional atmosphere created by the people who attended. We think that this is the best organised festival we have attended. Coaches were there to transport people from the day to the night venue. All the bars and food vendors took payment via a tagged wristband which you placed credit on. Not only did it speed up service but it made it much safer for customers to keep their money tucked away. In contrast to the huge exhibition halls, we also had tickets to Teatre Grec, the open air amphi-theatre near Parque Montjuic. A duo for this night from Ryuichi Sakamoto and Alva Noto. Classical piano from the Japanese man, complimented by electronic, conceptual notes from the German. The visual LED background was also rather impressive. And all in the open air under a sky slowly becoming dark as Spain rotated away from the setting sun. Three nights of rather uplifting visuals and sound in one of the best cities in Europe. We will definitely be back next year but next time we may leave the camera behind. A great place to let your hair down and experience the very best from the world music stage.